Two days ago an ECOFFEE prospect tried to convince us that sustainability is just a marketing word, and that consumers are not able to understand whether the retail product/store is really sustainable or it is just greenwashing. We have already dealt with this kind of prospect – and many became enthousiast ECOFFEE customers and sustainability advocates. Data and market analysis are the only way to convince the sustainability skeptical about the counter effects of greenwashing practices. That day, we showed to our prospect the Cone Inc. 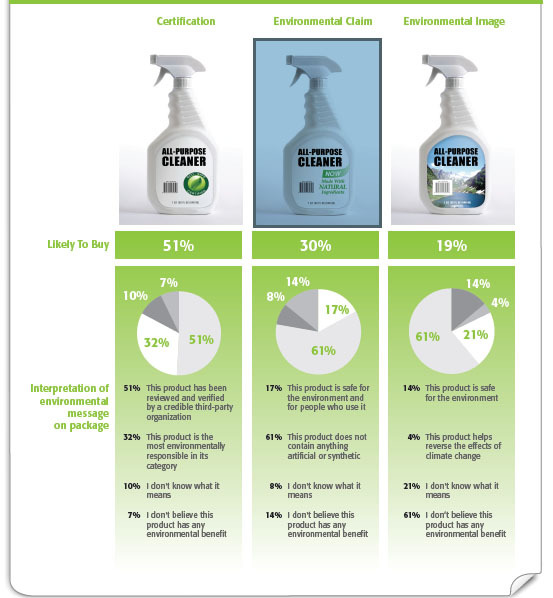 Trend Tracker recent analysis about U.S consumers and their behaviour towards greenwashing practices, dated March 24 2011. Results are very interesting – and very motivating for those of us who believe in real sustainable business practices. 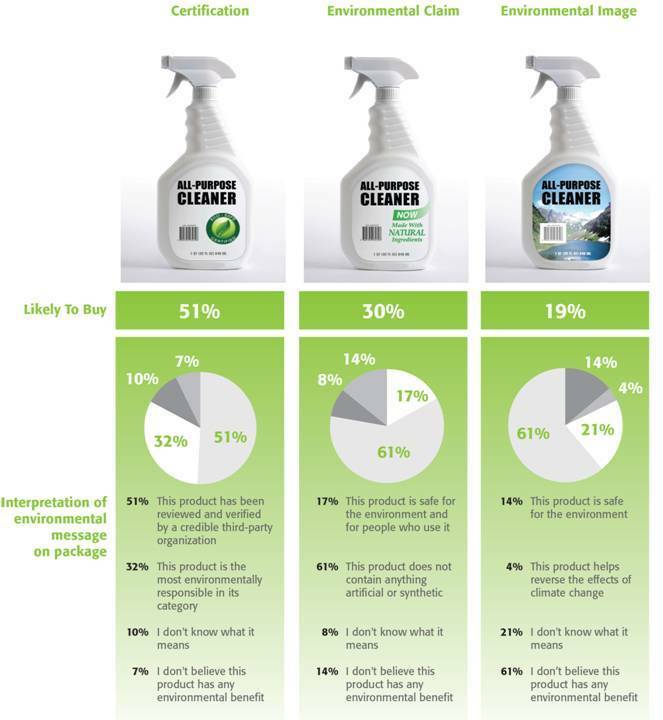 Three mock cleaning products were showed to consumers, who were asked to “purchase” the one they believed to be the most environmentally responsible. They were also required to indicate what they think the certification, claim or image on each package represents. Another very interesting survey finding concerns the inaccurate interpretation by U.S. consumers when it comes to words such as “green” and “environmental friendly”. More than two-in-five Americans (41%) erroneously believe these terms mean a product has a positive (i.e., beneficial) impact on the environment. 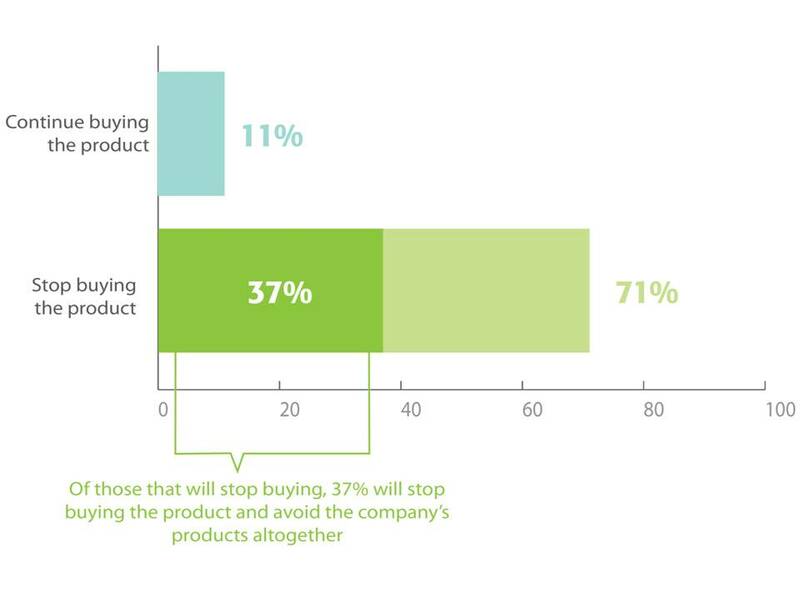 Only 29 percent understand that these terms more accurately describe products with less environmental impact than previous versions or competing products. -23% say vague environmental claims should never be used. -79% want detailed information readily accessible on product packaging. -75% wish companies would do a better job helping them understand the environmental terms they use. It is not necessary to add other comments to the above survey results, but if you are interested to know more, you can download the whole survey linking to the Cone Inc. website.